Welcome to Biscuit Love! A family business born in the South serving breakfast, lunch and brunch. We want to offer you the best dining experience from the moment you wait in line until you've eaten every last crumb of your biscuit. We may not get it right all the time, but we sure strive to deliver. We invite you to take a few minutes to learn more about us, our people, mission and vision. 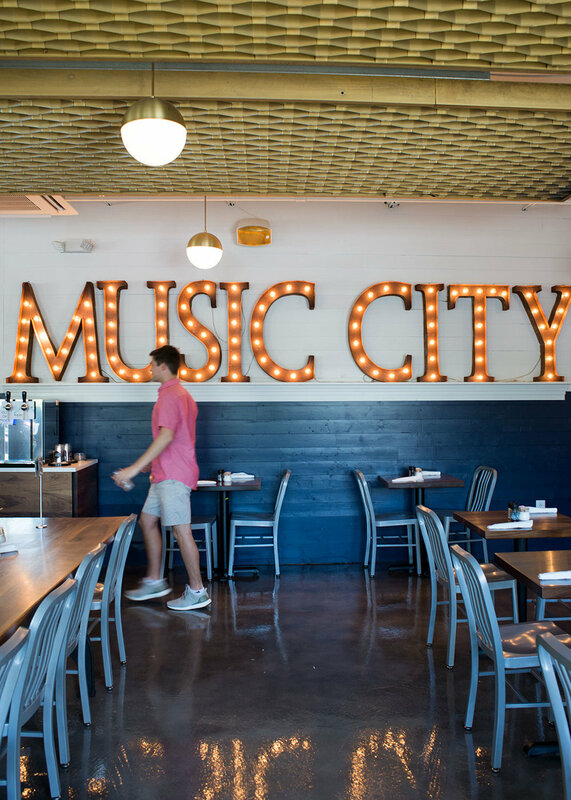 Since its humble beginnings as an Airstream food truck, Biscuit Love has grown to three Middle Tennessee locations and has become a Music City staple for its playful take on Southern brunch. 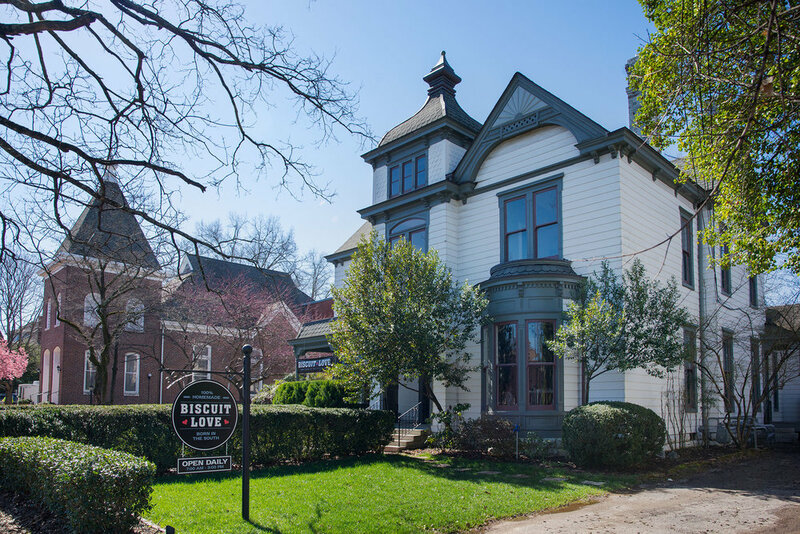 Owned and operated by husband-and-wife team Karl and Sarah Worley, Biscuit Love serves a variety of breakfast and lunch options made entirely from scratch. Throughout its journey from food truck to brick-and-mortar, Biscuit Love has remained steadfast in its commitment to sourcing from local purveyors, and actively giving back to the Nashville community. Fun fact: I was a railroad conductor in a previous life... Not as glamorous as one would think. Fun fact: Die hard Alanis Morrisette fan. Haters gonna hate. Fun Fact: Keeper of family recipes. Has a menu item named after her. Fun Fact: My grandmother, my mother and I grew up as only children. I used to envision having a big beautiful family who loved and supported each other. Dreams really do come true! I am blessed. Fun Fact: I can carry on a full conversation using only lines from "Seinfeld." Fun Fact: My first job was as a shoeshiner & I can say the alphabet forward and backward in the same amount of time. Fun Fact: I once won a greased-pig catching competition, in other words, I'm from Kentucky. What follows is the vision for Biscuit Love in the year 2025. It began in the summer of 2017, but truly began much sooner. It was written by Karl and Sarah Worley, reviewed and commented on by trusted members of their executive team, and will be shared with all of Biscuit Love’s beloved team members. The hope is that it will help you to visualize and take greater part in the organization as it grows. This is Biscuit Love in the year 2025. We manage our day to day decisions by following our guiding principles. We want to be a place that is clear about what we do and a place that follows through on those promises.